Israeli Soldiers Say ‘Thank You’ for their Passover Packages! Once again, United with Israel’s project to provide Israeli soldiers and their families with Passover packages was a huge success in 2016. The soldiers were very happy and say ‘thank you’! United with Israel’s annual Passover Partners project enables people around the world to express gratitude to thousands of IDF soldiers, not only with essential supplies for the Passover holiday, but also with emotional support and love. Working with the Standing Together organization, UWI was able to make this project a very big success. Over 1100 Passover packages, including staples such as matzoh, wine, grape juice, coffee, cake, chocolate, fruit and other essentials, were distributed to Israeli soldiers and their families throughout the entire country, from north to south. The soldiers were also provided with Haggadahs (Passover Seder recital books) and traditional Seder plates. Many young soldiers spend the holidays with their families, and some are in need of financial assistance. While dealing with such challenges at home, these courageous young men and women continue to defend the Jewish state day and night. The soldiers were thrilled to receive the packages and wanted to express their deep appreciation to all of those who contributed to the success of this project. It is equally important to boost the morale of these young soldiers who have no idea that people around the world pray for their well-being and appreciate what they do. When the soldiers receive their gifts, including personal notes of support and encouragement, they are deeply moved. 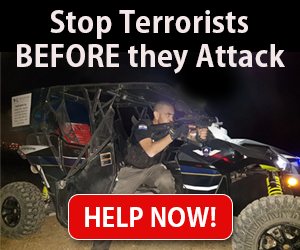 The outpouring of affection and concern motivates them even further to continue in their heroic task of defending the State of Israel. “It’s a great feeling to know that strangers around the world actually think about us and really care,” said one soldier. “It really makes a difference, and we thank you from the bottom of our hearts.” . The IDF provides a social worker to each army unit, who is able to determine the needs of each family. 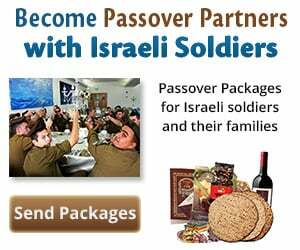 Although the Passover packages are in great demand, with thousands of requests each year, the soldiers whose families are in the greatest need will receive the assistance first. The soldiers themselves were assigned the task of distributing the packages to families throughout the country. In order to avoid embarrassment, groups were assigned to deliver to families of soldiers from different units, thus allowing these brave fighters on the receiving end to maintain their dignity. For those who participated in this important project, the soldiers say ‘THANK YOU’ from the bottom of their hearts. With the unprecedented rise in anti-Israel sentiment and demonization of Israel and the IDF, it is so wonderful that there are great friends of Israel around the world like you. Your support is greatly appreciated!